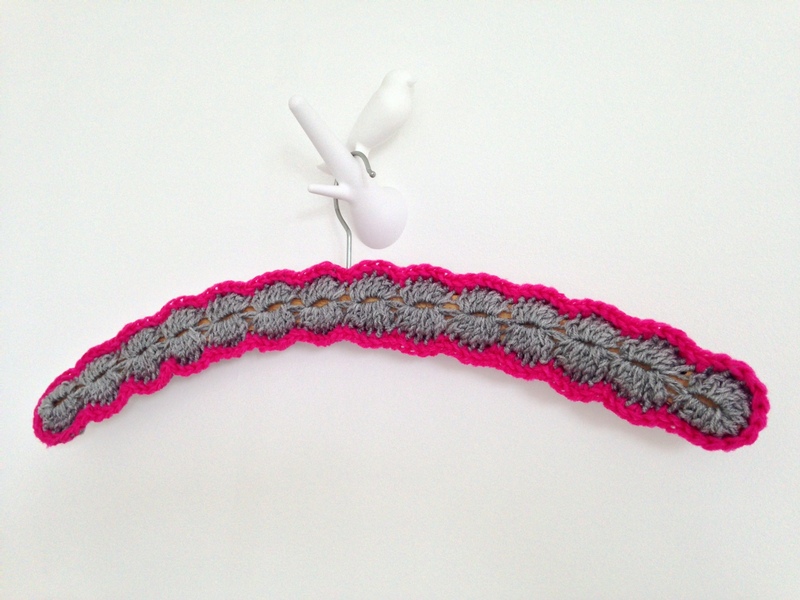 The internet being an endless source of inspiration and wonderful ideas, I came across prettyfied hangers like this quite a lot, most recently here, but before that already here and here. 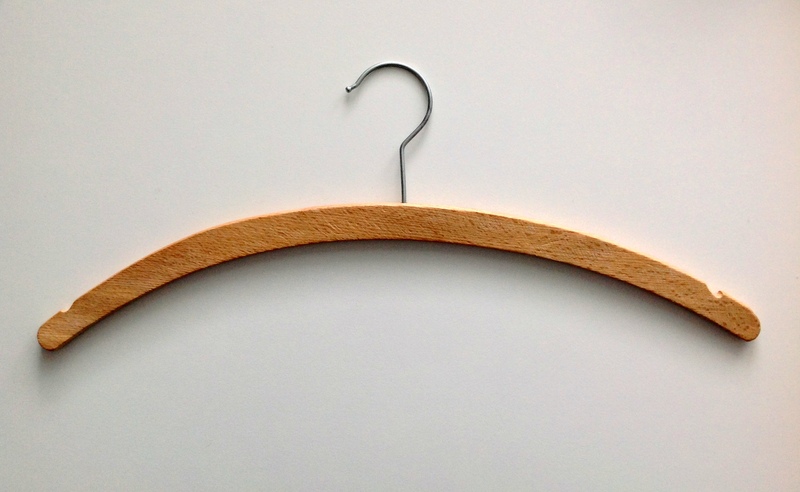 The biggest challenge was to get a hold of the old-fashioned kind of hangers needed for a make-over like this. My sweet parents actually found one in their wardrobe and donated it for the prettyfying cause. 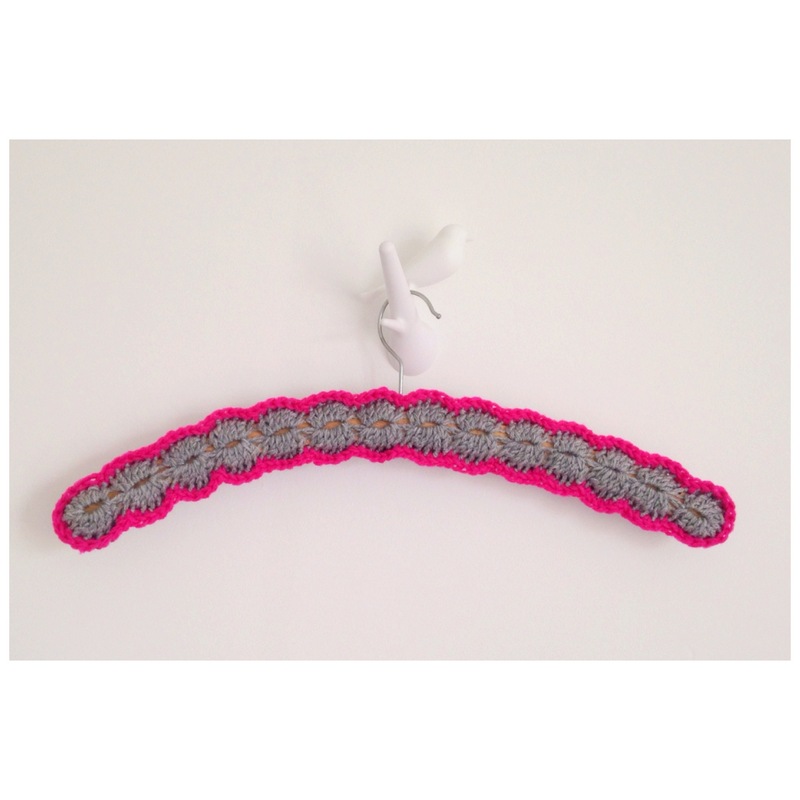 I decided to use Dottie Angel’s tutorial (link here) to make mine and having just finished a shawl in the HEMA-grey and -pink yarn (and still a little bit in love with that color combo), it was not hard deciding on the material and color. 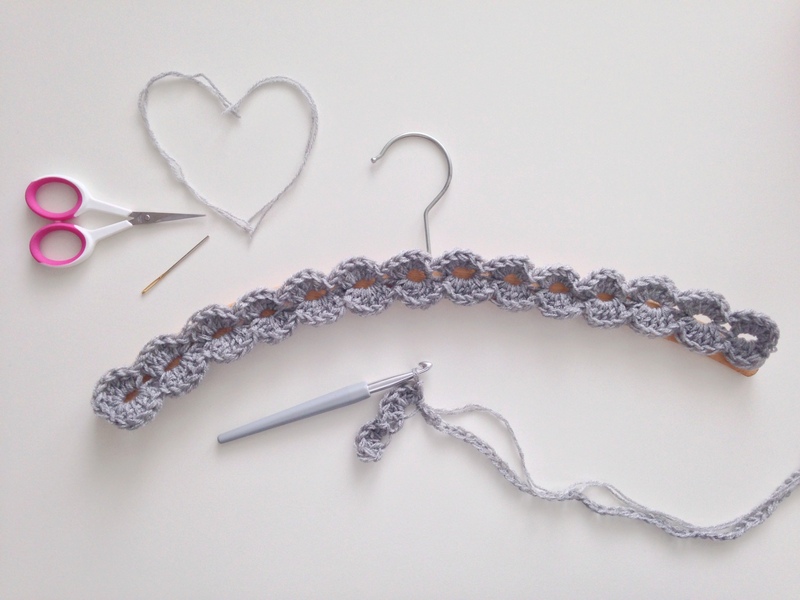 If you have some of these hangers “hanging” around somewhere, I can highly recommend giving them a cute little crochet cover – quick project, instant gratification! And you know what? Today, during a short stop at my local thrift store my daughter and I found 18 (eighteen!!) 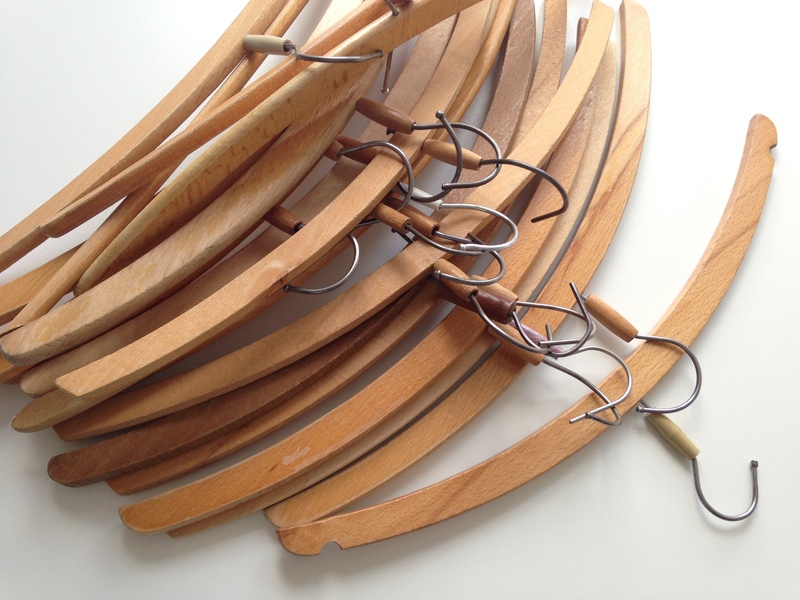 old-fashioned wooden hangers that are just screaming to be prettified – I’m happy! Just LoVe these and so glad you have a little stock to be working away on prettyfying them now. Aw, thanks, Heike! Yes, I was thrilled to find so many in one visit; the people in the thrift shop were actually so nice to get clothes off the old-fashioned hangers for me ……..